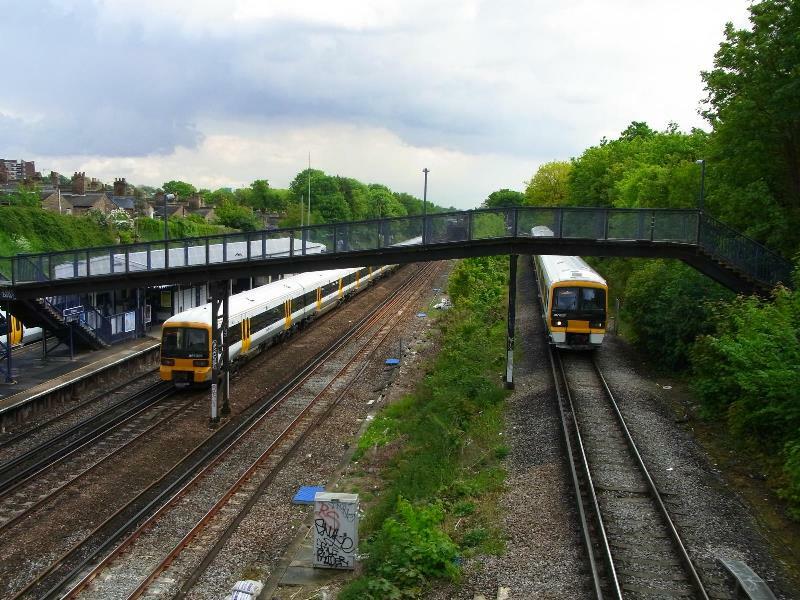 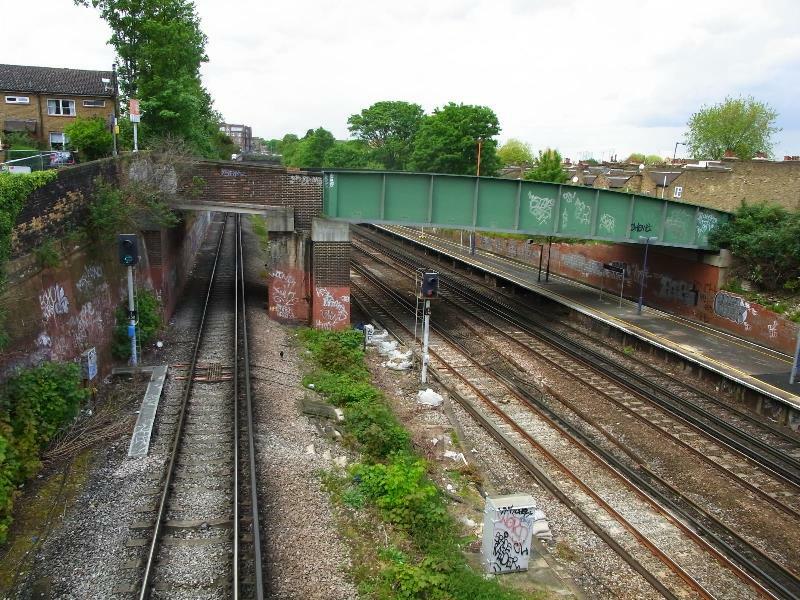 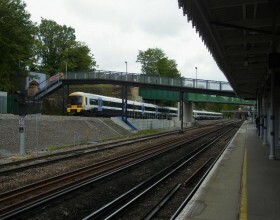 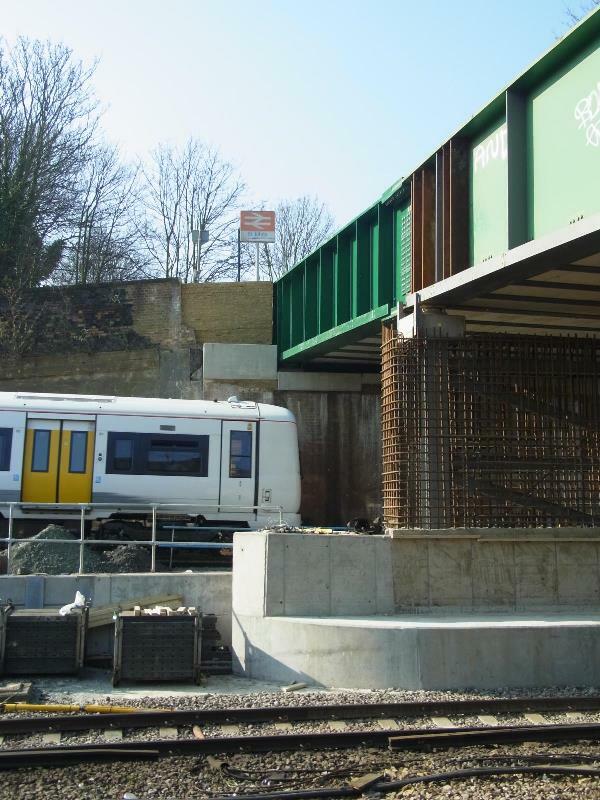 To improve capacity on the line between London Bridge and Lewisham, a new stretch of single track has been built alongside the original bi-directional single track between Tanners Hill Junction (near St John’s Station) and Lewisham Vale Junction. 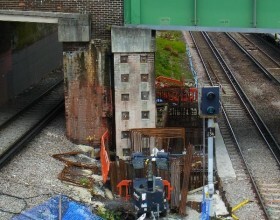 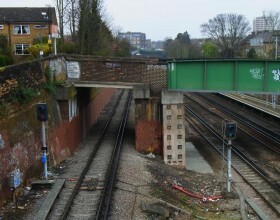 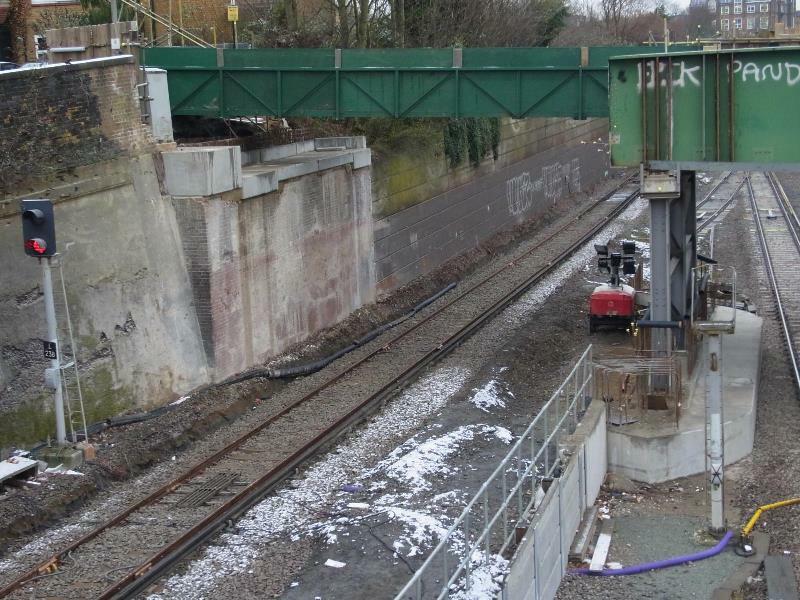 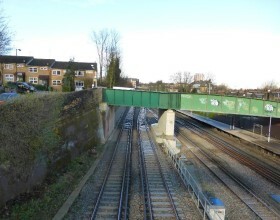 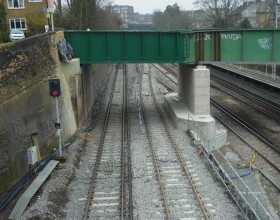 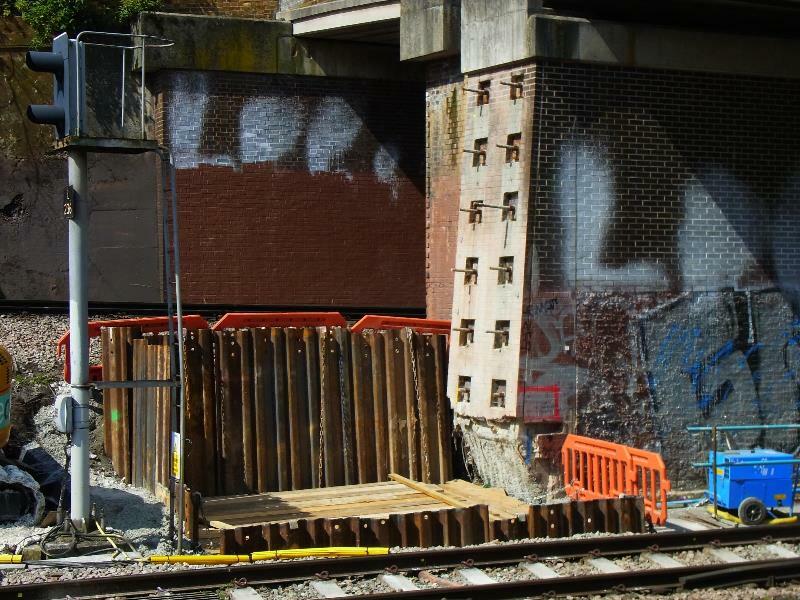 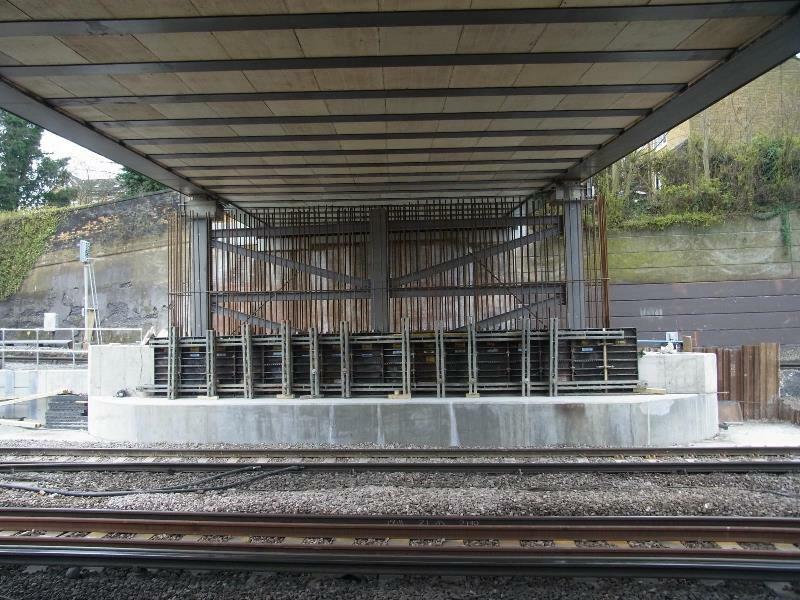 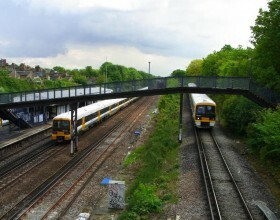 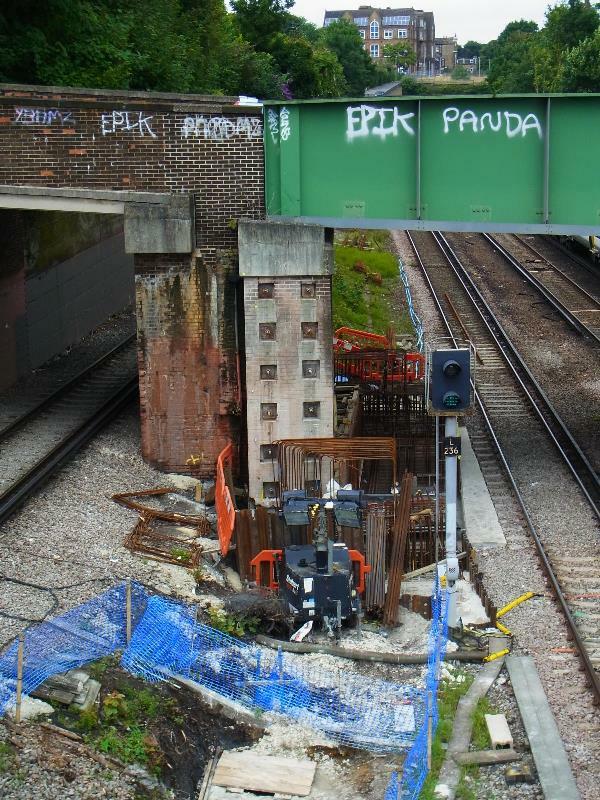 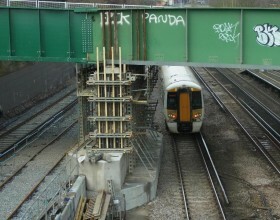 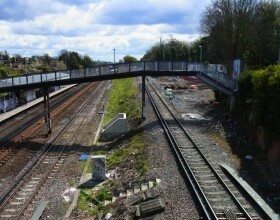 Before the new track was laid, St John’s Vale Road Bridge was partially demolished and reconstructed with a concrete pier, as well as a new south span over the new track. 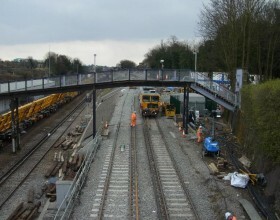 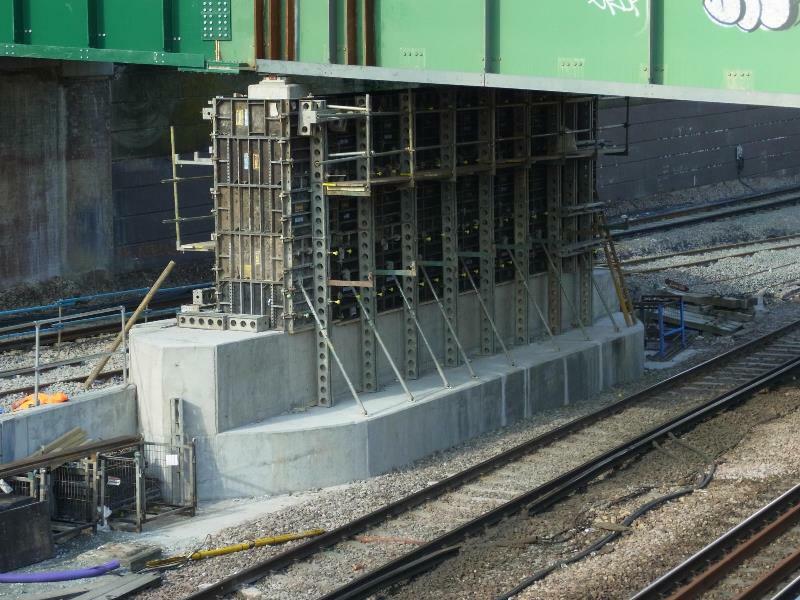 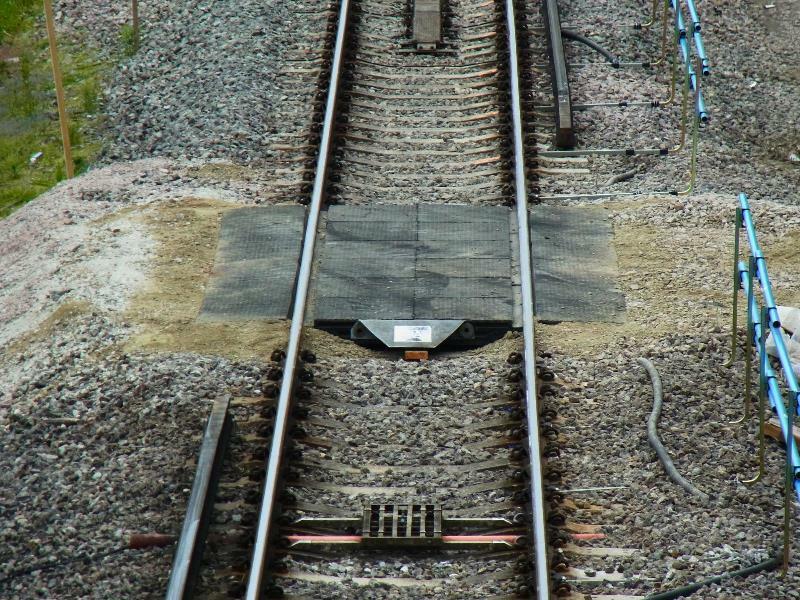 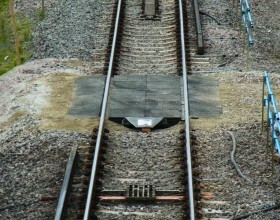 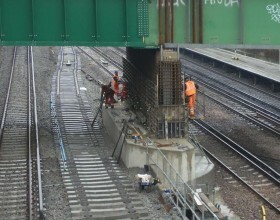 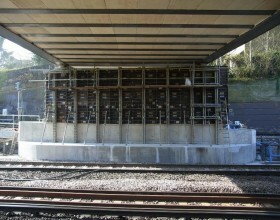 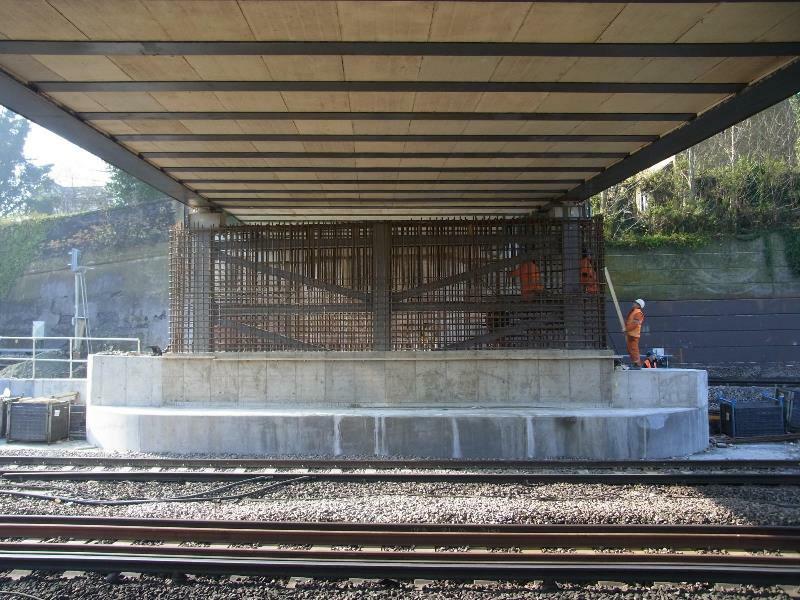 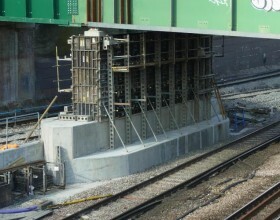 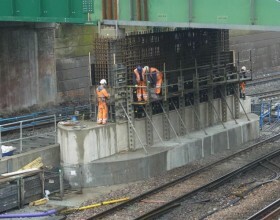 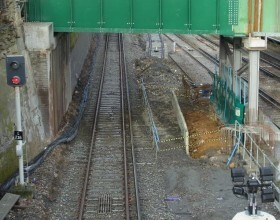 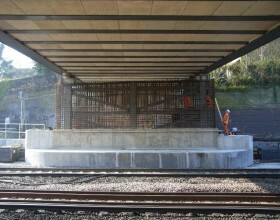 PaSCoE were commissioned by Balfour Beatty Rail to design the extensive temporary works required to build the scheme. Temporary anchors to support the existing piers which were undermined to allow the installation of the new pier foundations. 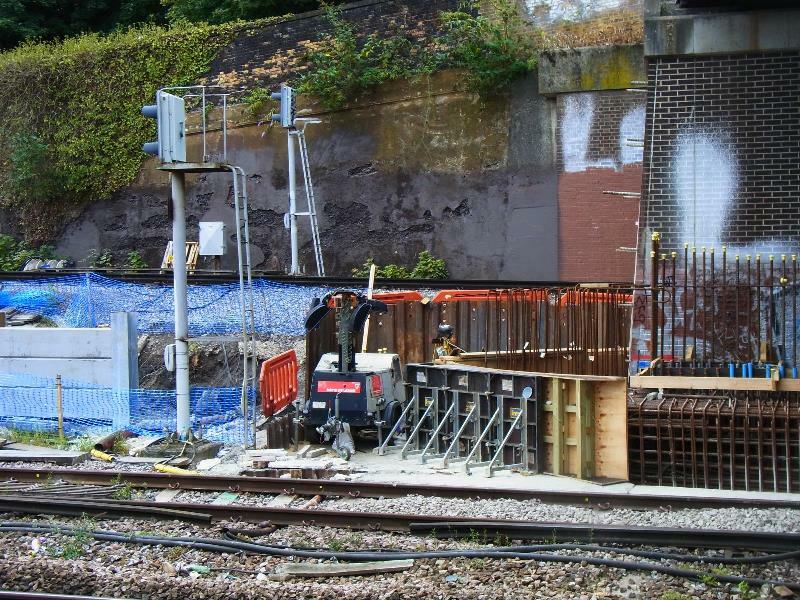 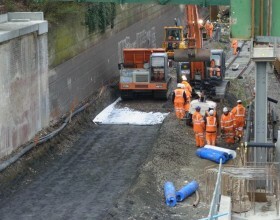 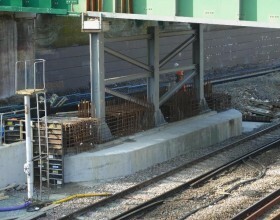 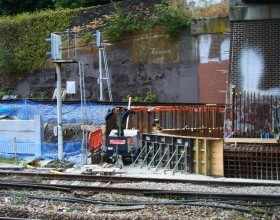 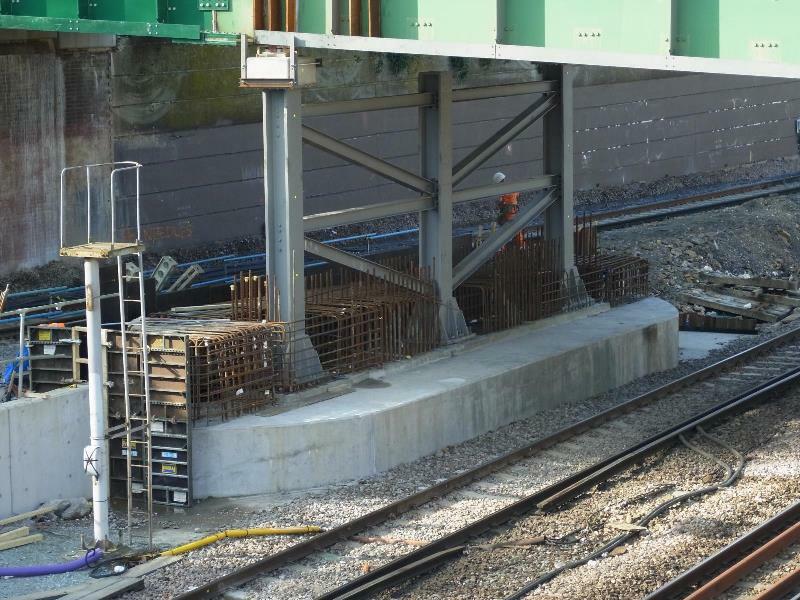 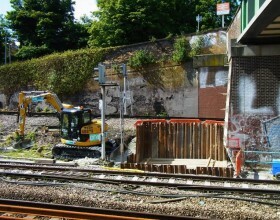 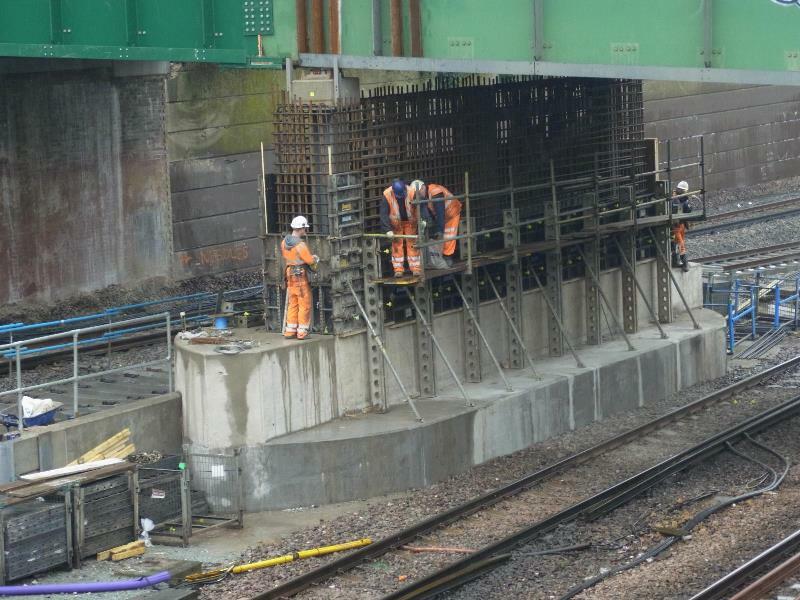 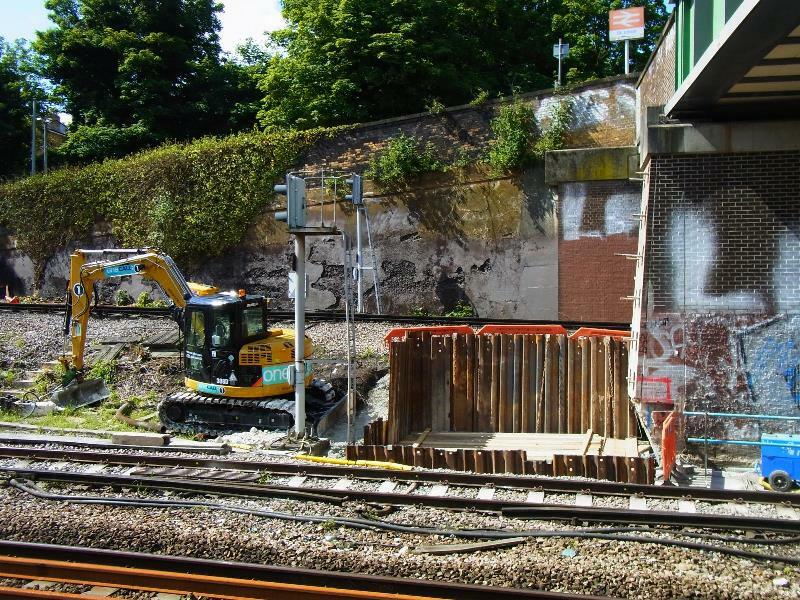 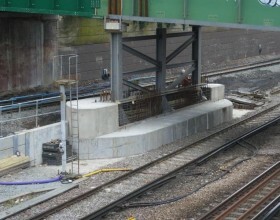 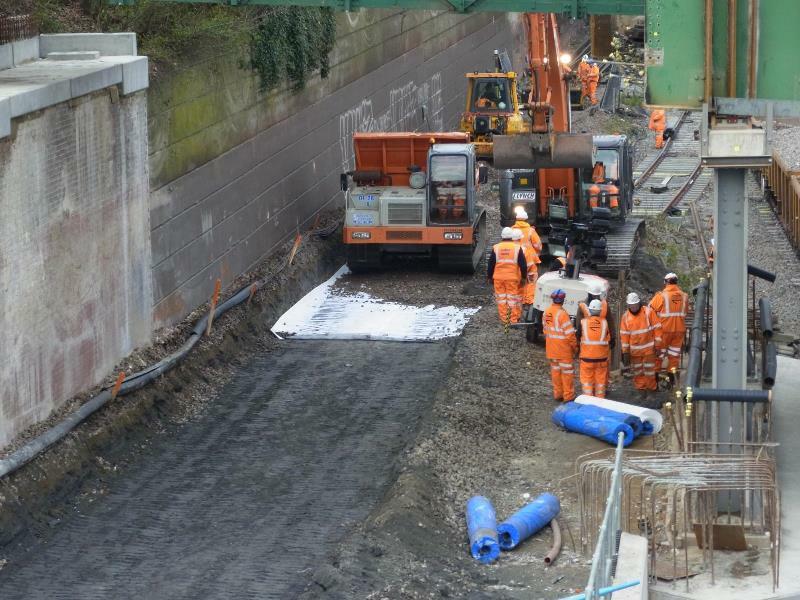 Excavation support for the new pier foundations – due to the close proximity of the line the existing sleepers had to be replaced with short end sleepers to give adequate room to install the works. Bridge Jacking – the original scheme required the installation of a separate propping system to allow the installation of the pier. However we put forward a scheme that utilised the new and existing piers only, which was accepted, saving time and money on the project. 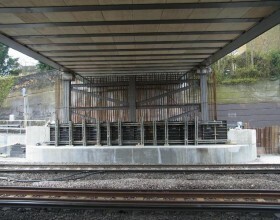 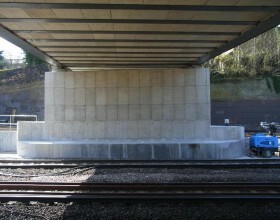 Formwork design for the new deflector wall and reinforced concrete pier which encapsulated the steel trestle. 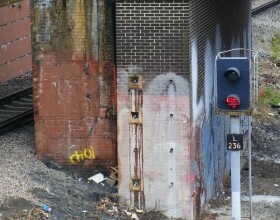 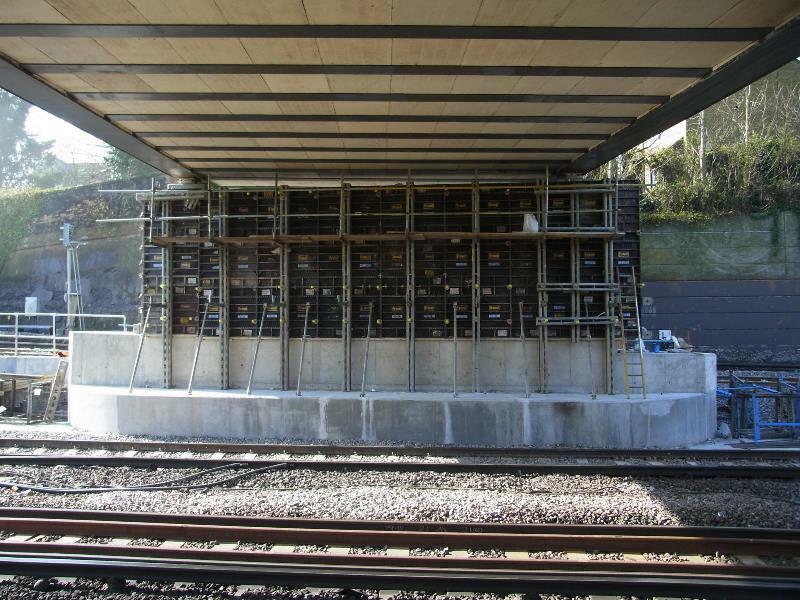 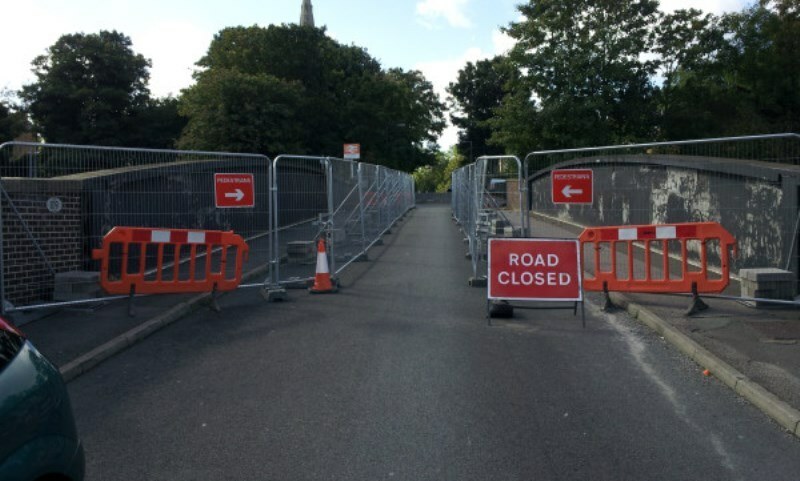 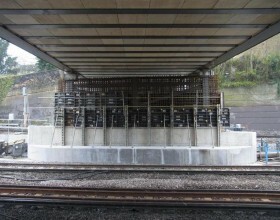 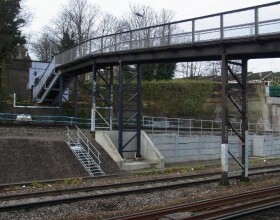 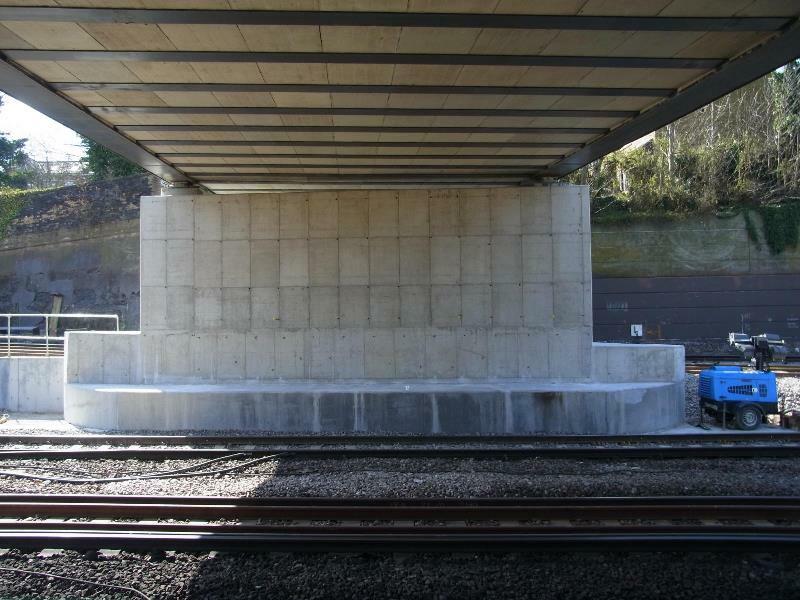 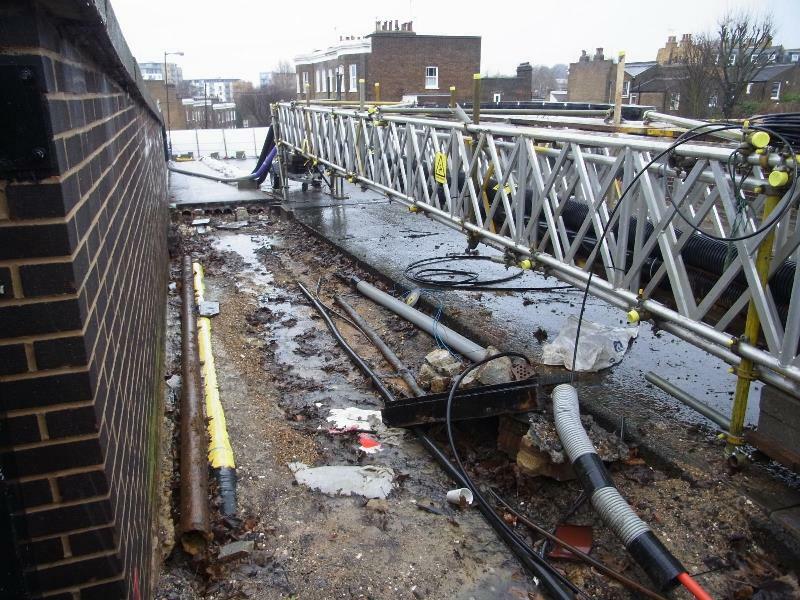 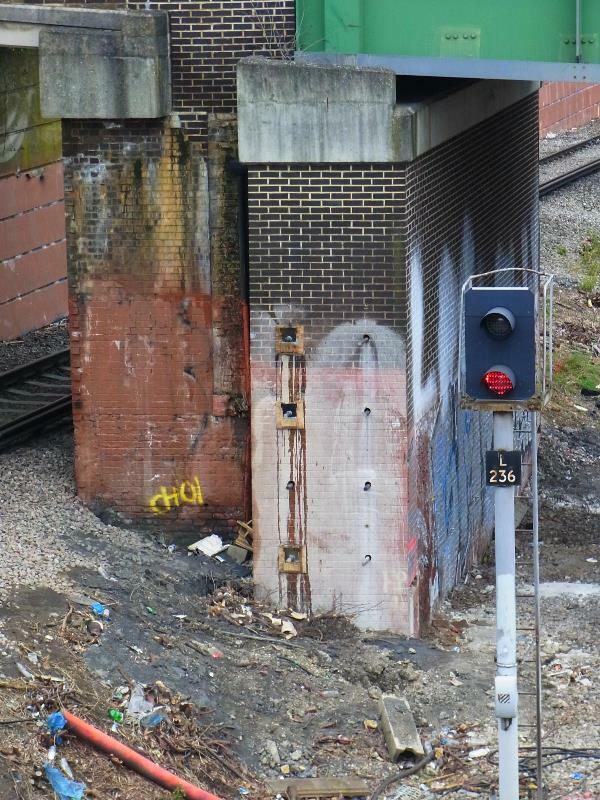 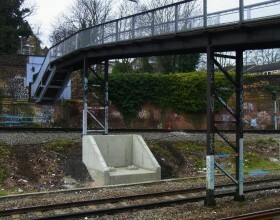 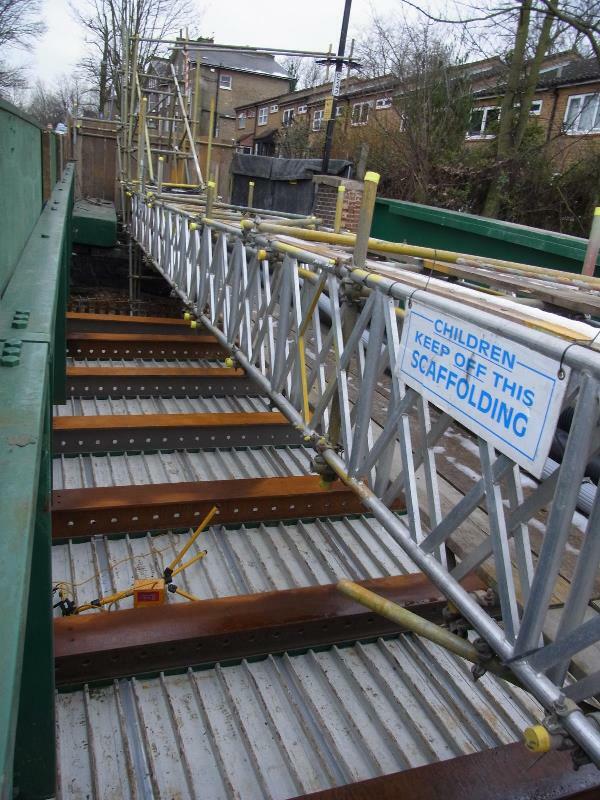 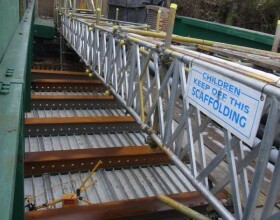 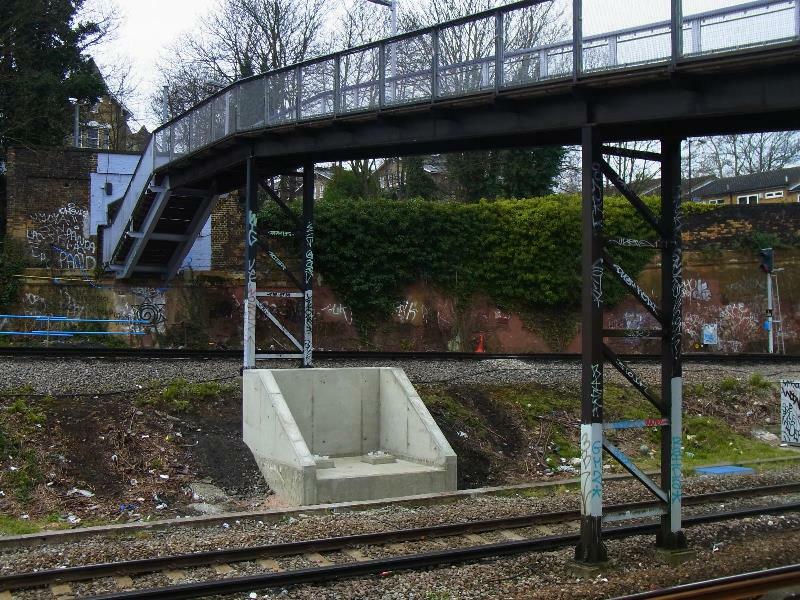 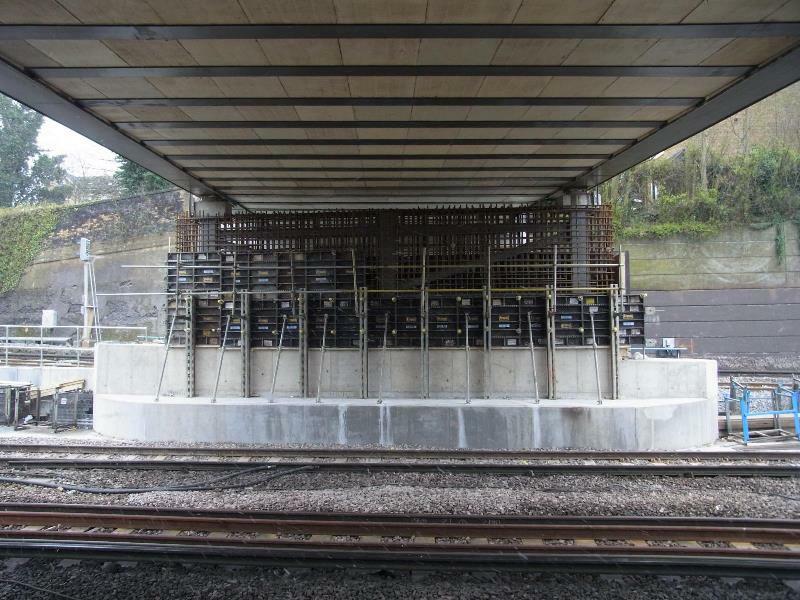 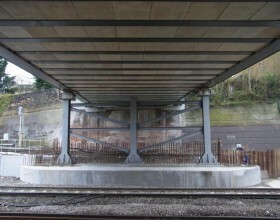 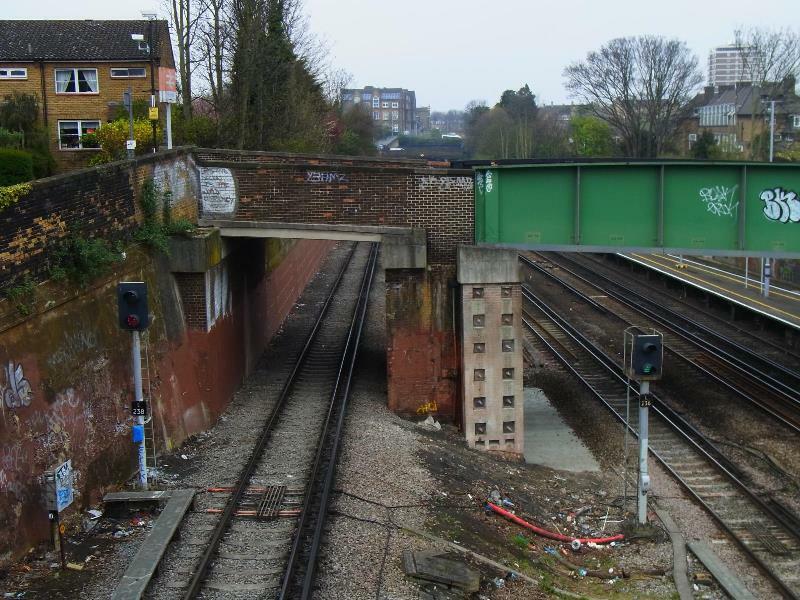 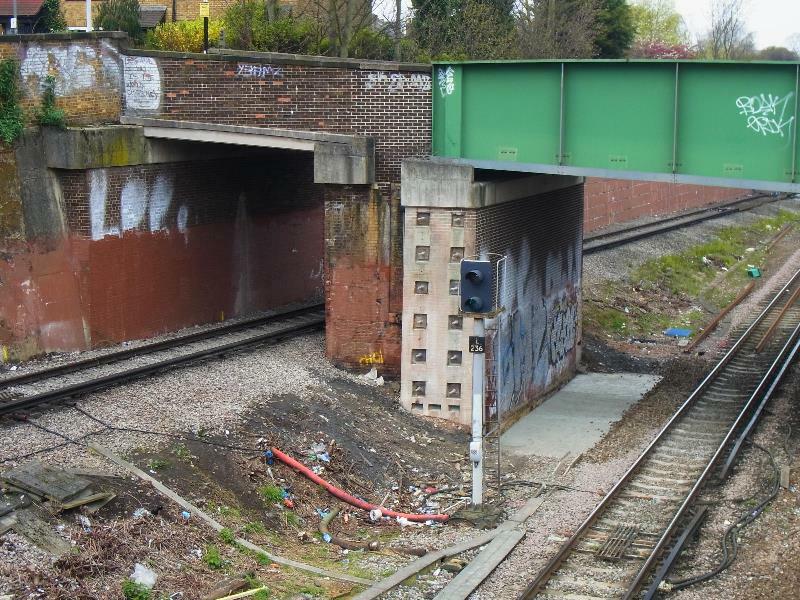 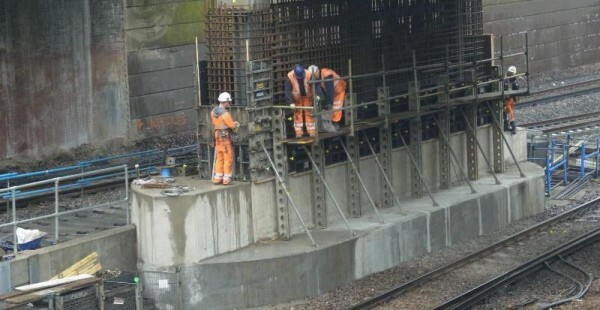 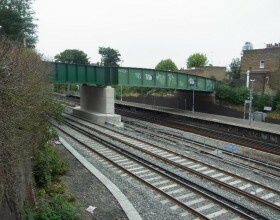 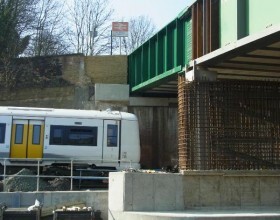 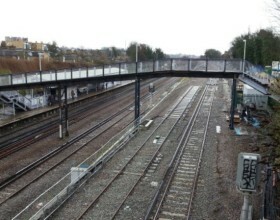 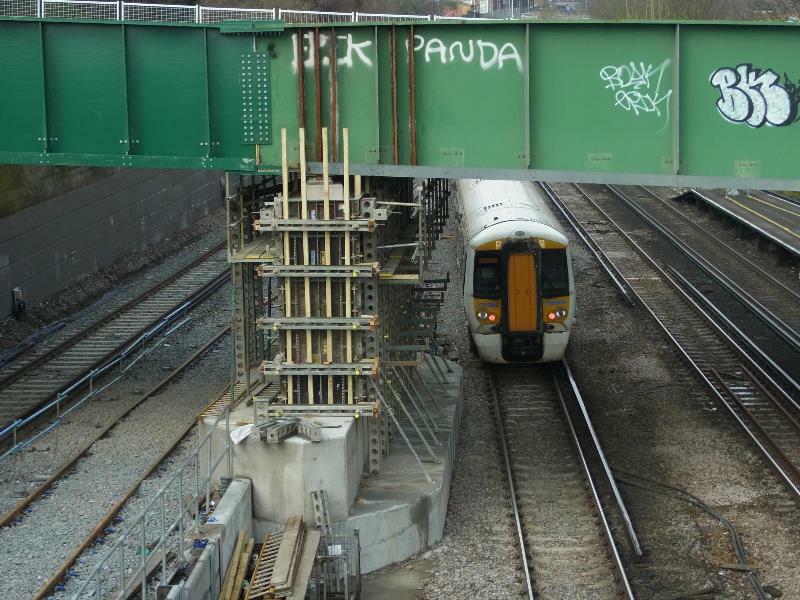 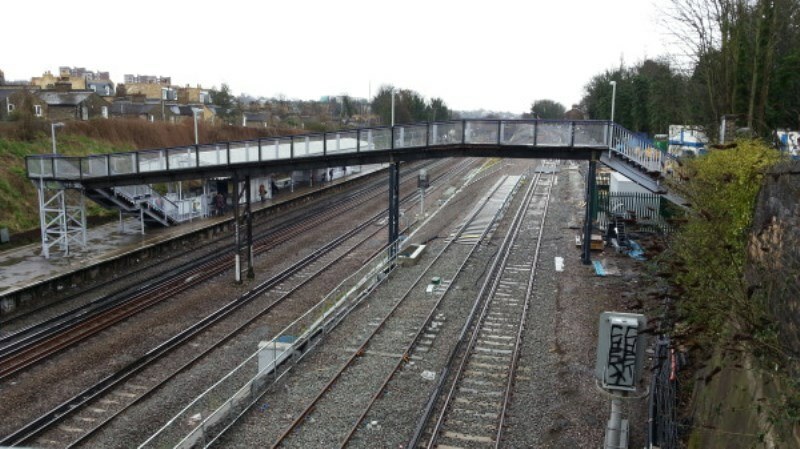 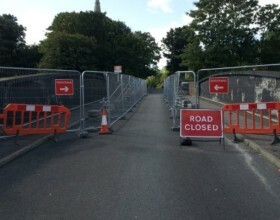 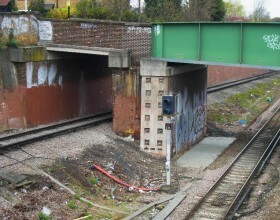 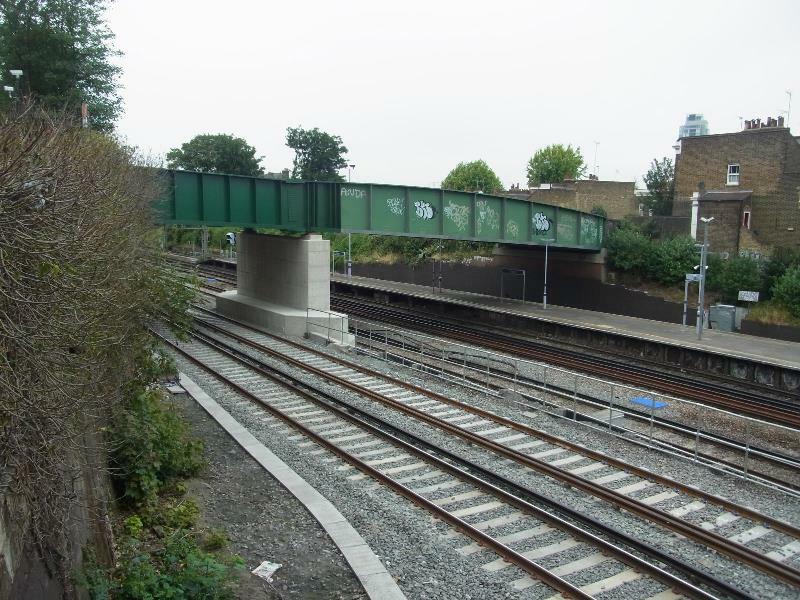 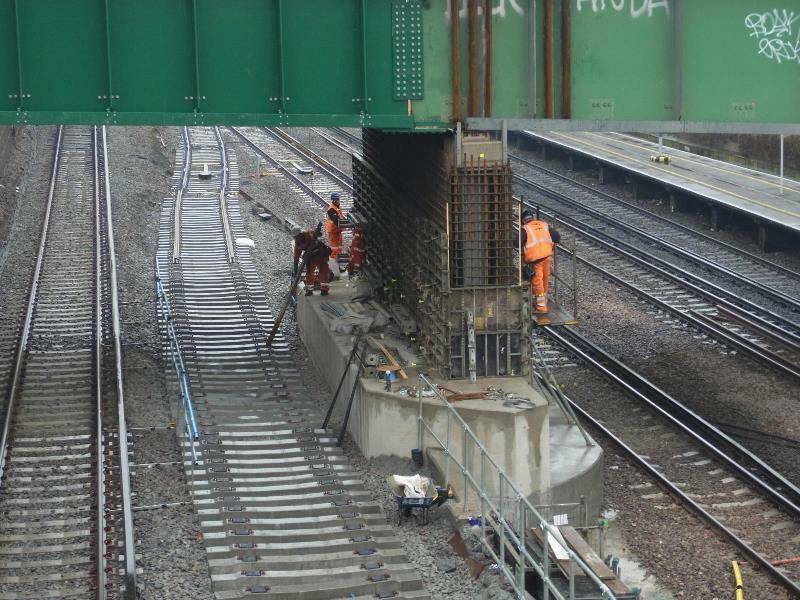 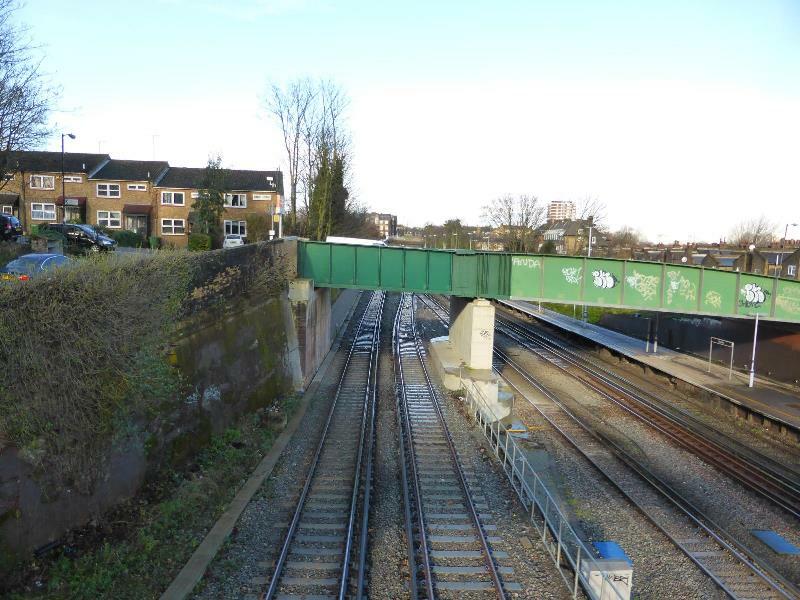 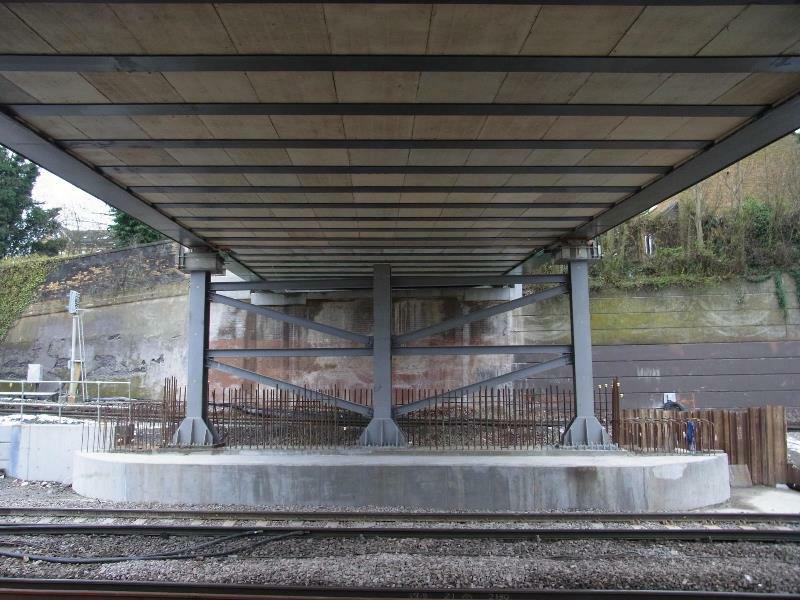 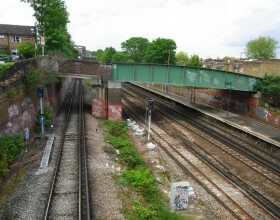 Footbridge propping – PaSCoE undertook an assessment of the existing steelwork connection adjacent to a prop location which proved the connection had adequate capacity and the number of prop locations could be reduced.